UIL and HCBO testing requirements. What score on each test will enable you to officiate Varsity or Sub-Varsity games. What score will enable you to be considered for "HCBO Assigned Varsity Games", "HCBO Assigned Playoff Games" or "UIL Assigned Playoff Games". In order to work "HCBO Assigned Varsity Games", you must pay your state dues and pass your required tests (NFHS Rules Part 1, NFHS Rules Parts, and NHFS 3-Person Mechanics. In order to be eligible to work "HCBO Assigned Playoff Games", you must pass all your required tests (sames tests mentioned above). In order to work "UIL Assigned Playoff Games" which includes "Regional Assignments" and "State Tournament Assignments", you must score a 92 on all of the tests mentioned above (NFHS Rules Part 1, NFHS Rules Part 2, and NFHS 3-Person Mechanics). "You must score at least a 92"
Please do not take the testing requirements and its enforcement lightly. UIL and HCBO will be monitoring test results prior to assigning a game. While this communication focuses on OCP, Rules Part I and Mechanics 2 and 3 Person, you will also need to pass Rules Part II at the same levels identified for Rules Part I and Mechanics 2 and 3 Person.  Texas High School Basketball Officials Association - Houston Basketball Chapter Officials (HBCO) THSBOA Basketball Board for Basketball Division Approved Testing Requirements 2014 - 15 UIL Required Online Tests: Officials Compliance Program (OCP) ,NFHS Rules Part 1,NFHS Rules Part 2, NFHS 3-Person Mechanics or 2-Person Mechanics is required to be completed with a passing status by each official. There are three (3) sections in the OCP testing module. You must complete all sections to be in compliance. The OCP test has been reset for 2014-15. Anyone who took the test AFTER July 1, 2014 can go back into the system and print their new certificate for 2014-15. To reprint a certificate you will need to log into Arbiter, then go to OCP (you may have to click Central Hub in the upper right corner of the page to see the OCP button). While the OCP test is loading you should click Certificate. You will then be able to print your new certificate for 2012-13. Any Official that took the test BEFORE July 1, 2014 will need to retake the test. Required Testing Result for Local (HBCO) Assigned Varsity Games: 70% and aboveAn Official is only eligible for Sub-Varsity when “Rules Part I” or either Mechanics 3 Person or 2 Person are below the required test score after test closes on November 30, 2014. If you have met the Mechanics 3 Person required test score, but do not meet the Mechanics 2 Person required test score you are eligible for Varsity, as long as you have also met the Rules Part I required test score. Conversely, if you have met the Mechanics 2 Person required test score, but do not meet the Mechanics 3 Person required test score you are eligible for Varsity, as long as you have also met the Rules Part I required test score. An Official who is a chapter member prior to test close date, but has not taken Rules Part I and Mechanics 3 Person or 2 Person test is not eligible to officiate basketball games at any level. An Official seeking to be considered for UIL Assigned Varsity Games, Local (HBCO) 3 person playoffs or UIL Assigned Playoff Games must take and pass Mechanics 3 Person. Rules Part II – Test Open and Closing Period - Test Open and Closing Period - October 1, 2014 at 12:01am to November 30, 2014 at 11:59pm.Required Testing Result is 92% and above. Wishing you the highest success on each test you take.